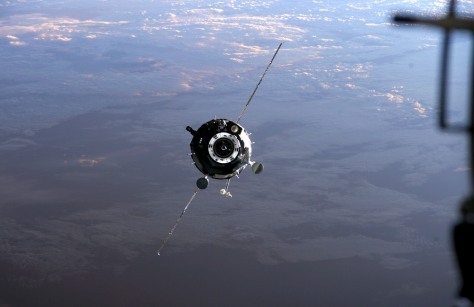 Next story in Human spaceflight How risky is it to rely on Russian spaceflight? The Soyuz TMA-9 crew capsule closes in on the space station with Earth as a backdrop, as seen in this September 2006 photo taken from the station. TMA-9 is due to become the longest-serving Soyuz craft in space history, with its landing coming 214 days after launch.